JAMESTOWN – The deadline has passed for local residents who plan on running for election this coming November and it appears two current members of the Jamestown city council will not be seeking reelection. Neither councilman Steve Szwejbka (I-Ward I) nor Michael Taylor (D-Ward III) submitted petitions to get their names to appear on the ballot for November. Taylor told WRFA in June that he would not be running for reelection. 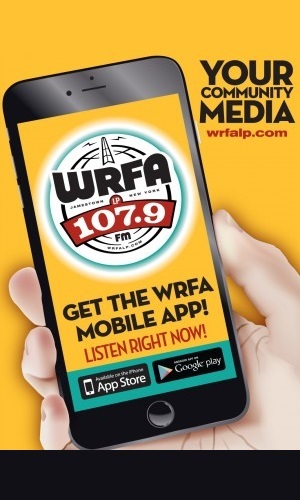 Szwejbka had initially told WRFA his plan was to seek reelection. However, according to the Chautauqua County board of election website, he did not submit any petitions containing signature that would allow his name to appear on the ballot. While Szwejbka’s name doesn’t appear on the board of elections website, two other candidates are vying for a seat on the council to represent Ward I, which lies in the northeastern part of the city. They are Democrat Anthony Purpura Jr. and Republican Brent Sheldon. Running for election in Ward III are Democrat Regina Brackman and Republican Tamara Dickey. Ward III covers a portion of the downtown as well as the northside of the city. The only other contested race on the city council is in Ward IV, where Democrat Marie Carrubba will square off against Rick Elardo. Earlier this year Carrubba was appointed to fill the seat vacated by Vince DeJoy after he left the council to assume the role of City Development Director. All other current city council members will be running for reelection and have no challengers. They include Republican Tony Dolce (R-Ward II), Maria Jones in (D-Ward V) and Paul Whitford (D-Ward VI). The city’s three at large council members are the only three who’s names will appear on the ballot this year. They are Democrat and city council president Greg Rabb, Democrat George Spitale and Republican Kim Ekclund. The 2013 General Election is Thursday, Nov. 5.